We had a short spring on the shore this year and we’ve been flung right into summer. Everything is green and bright. It’s a great time to escape the heat and come up north! Some days there’s a 20 degree difference between the shores of the big lake and inland. Just make sure to bring some bug spray! 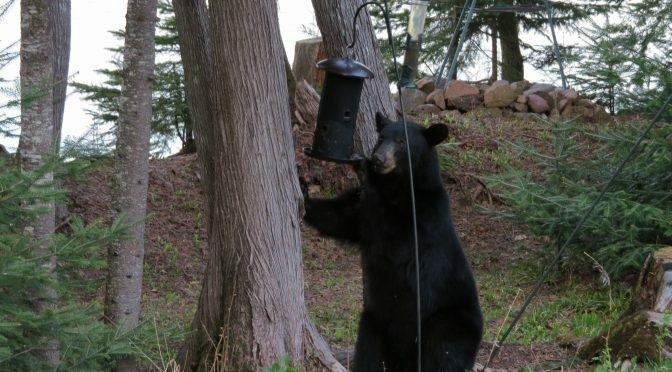 Recently an unexpected visitor showed up for a birdseed snack at our realtors Jack and Sandra’s home. 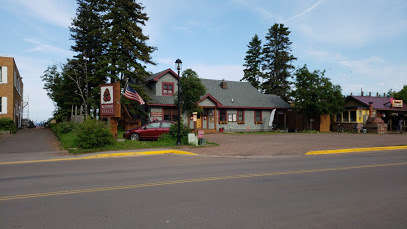 Wildlife in the northland don’t miss any opportunities!